With the El Clasico coming up in 13 days from now and right after the international break, Real Madrid failed to keep up with Barcelona on the top of the league and lost 3 very important points tonight in Sevilla. The Merengues were beaten 3-2 at the Sánchez Pizjuán and basically delivered their weakest performance of the season so far. In what turned out to be the first loss of this new Benítez's era, nothing seems to have clicked the way it was supposed to and there were plenty of worrying signs coming up to surface less than 2 weeks away from hosting Barça at the Santiago Bernabéu for the first "El Clasico" of the season. Wasteful in front of goal, confused in defense and utterly outplayed all around the park, Real Madrid did nothing to quell the fears of fans who saw their recent performance against PSG as a sign that Madrid could be in trouble. 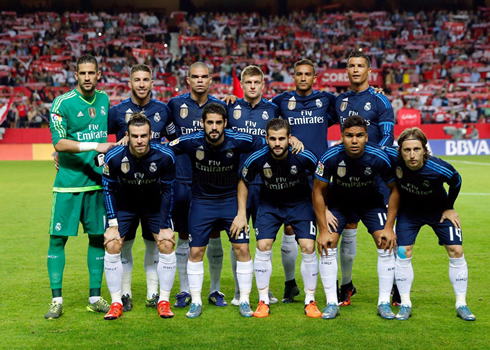 Against a struggling Sevilla side, Madrid looked nothing like a team that has been undefeated for the entirety of the season. 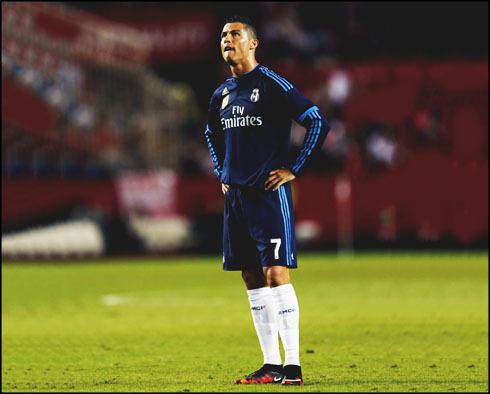 Cristiano Ronaldo in particular, who honestly has struggled all season, had perhaps his worst performance in years and was completely nullified by the Sevilla defense. Real Madrid started brightly, controlling the match in the first half and eventually going ahead courtesy of a fantastic effort by captain Sergio Ramos. Off the corner, the centerback pulled off an audacious bicycle kick beating keeper Sergio Rico, as the ball bounced into the corner of the net. Sadly, that would be the best moment of the game, both for Madrid and for the captain Sergio Ramos. The Spanish centre back would fall on his shoulder after the acrobatic effort and he'd soon be off for Raphael Varane. 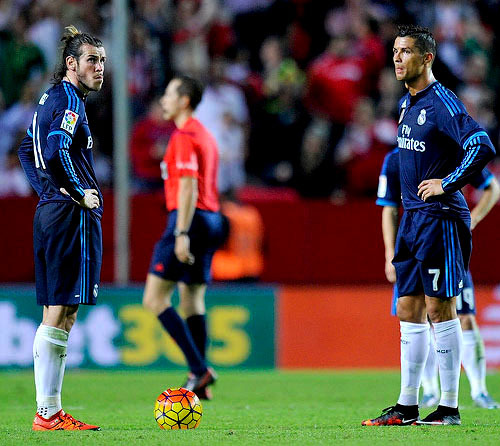 Sevilla began to take control of the match soon after and capitalised on Madrid's lack of cohesion in the back. 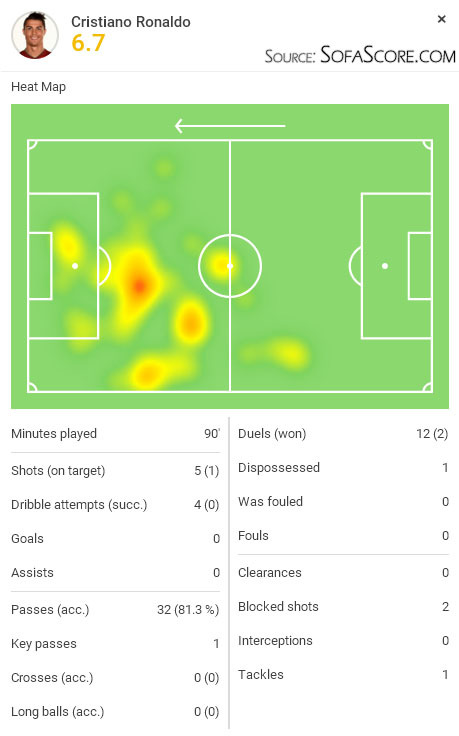 Kiko Casilla, who was deputising for the injured Keylor Navas, was poor, flapping at crosses and failing to impress on a chance to make an impact. In fact, it was the former "Cantera" product's inability to claim the ball from a cross that allowed Ciro Immobile to tap in a shot from an acute angle in the 38th minute. Things would still get far worse after the half though. Yehven Konoplyanka, who was a menace all day, would waltz his way through the Real Madrid defense, playing a series of one-twos with Ever Banega just before the Argentine midfielder finished it off with an empty net in front. - Pepe and Varane is the worst defensive pairing on the squad, they seem to really lack any ability to play together. Individually they don't play that poorly, but as a unit they are bad. - Cristiano Ronaldo has been having his worst season in probably over a decade. He's scored 13 goals in 15 games, but 5 of those came in one game and he has looked really off the boil recently. He needs a rest and he'll get one in the upcoming international break. - Danilo has a lot of work to do, far too easily beaten. Cristiano Ronaldo next game will be for Real Madrid on the 21st of November of 2015, against Barcelona. You can watch Juventus live stream, Russia vs Portugal, Chile vs Colombia, Spain vs England, Argentina vs Brazil, and Norway vs Hungary, all matches delivered in our live streaming game pages.